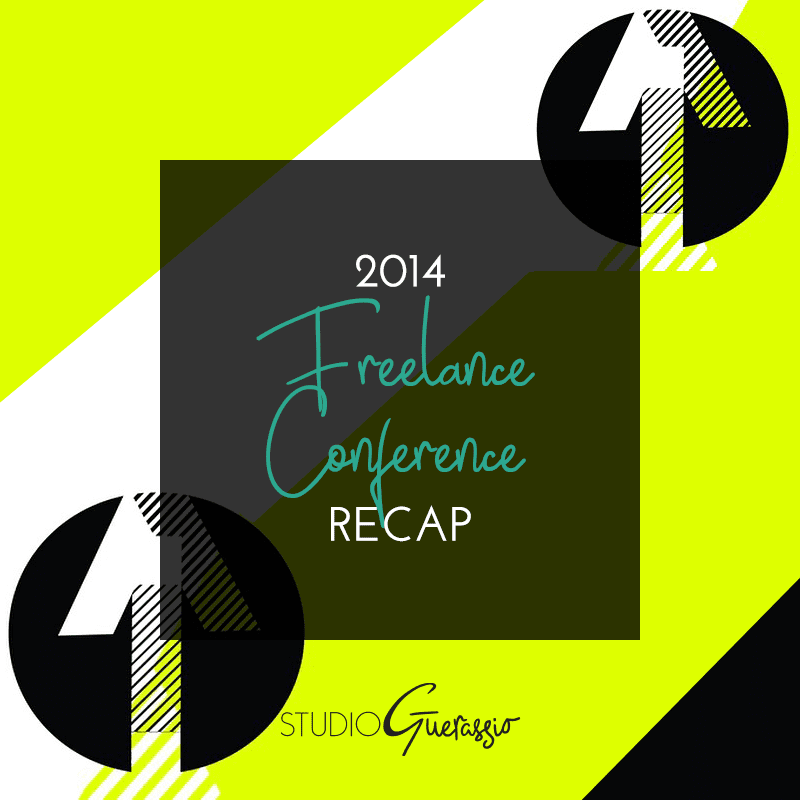 The first ever Freelance Conference was this past Tuesday. It was billed as an event “created by freelancers, for freelancers […] those who leave a J-O-B with the dream of freedom, better income, and the ability to control our own careers.” I had met the founder, Emily Leach, through some networking events and heard her talk about this new venture. And I was excited for it. I’d never been to a professional conference before, not having an employer to sponsor my travel & ticket (looking at you, HOW Design). This one not only had an affordable ticket price, but was also right here in Austin and geared specifically towards the self-employed. That’s the holy trinity of conference specs as far as I’m concerned. To say I jumped on registration when it opened is not an exaggeration; it turns out I was the very first person to buy a ticket. Emily actually called me out up at the start of proceedings for being the first person to support the Freelance Conference. I didn’t get the face-burny feeling I usually get from blushing, so hopefully I handled that surprise ok. Thanks, Emily! Affordability: it was $92 for a ticket. No problemo. The time & location: Abel’s on the Lake was a great location (free parking, great water views) and I liked that the conference didn’t start super early (I’m not a morning person) or run very late. Having Brad Closson start off the day’s panels with a fun twist on networking was brilliant. I liked this panel MUCH more than I thought I would from the website description, and met some lovely people as a result. The Clients From Hell panel during lunch was well-done – interesting enough to entertain, but didn’t require note-taking so you could actually eat your meal. All of the panels were at least interesting and kept my attention, though some were more applicable or organized than others. Being surrounded by people who actually get all of the ups and downs, perks and heartaches of freelancing was awesome. Technical difficulties regarding the Skype call with Brennan Dunn. His was the panel I was most excited about, and it was cut short because of this. But it works out ok, because I’m taking his free email class on the same topic now. Hard wooden chairs all day. There was bruising. ‘Nuff said. While all of the topics were great, not all of them included actionable steps on how to apply this new knowledge. I like my workshops/panels to be practical, too, not just theoretical. Overall, I had a lot of fun, and I’ve come away with some new connections and a ton of new ideas for my business. Plus, of course, all of the great swag. 😉 And apparently the conference for 2015 is already in planning stages, so it will be happening again next year. I, for one, will jump on that registration bandwagon right away.